Ideum is excited to present at the CODA Summit: The Intersection of Art, Technology and Place. 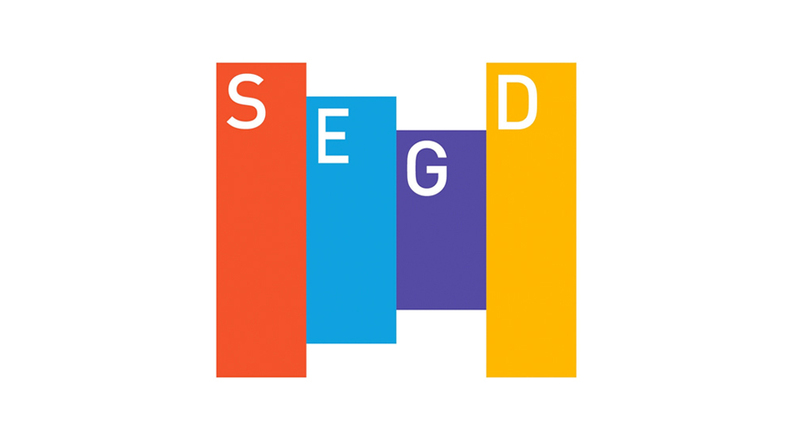 Held September 20 and 21 in Santa Fe, NM, the event is presented by CODAworx and will be a day-and-a-half long international conference focused on both theoretical and practical information about the compelling interplay between art, technology and place. 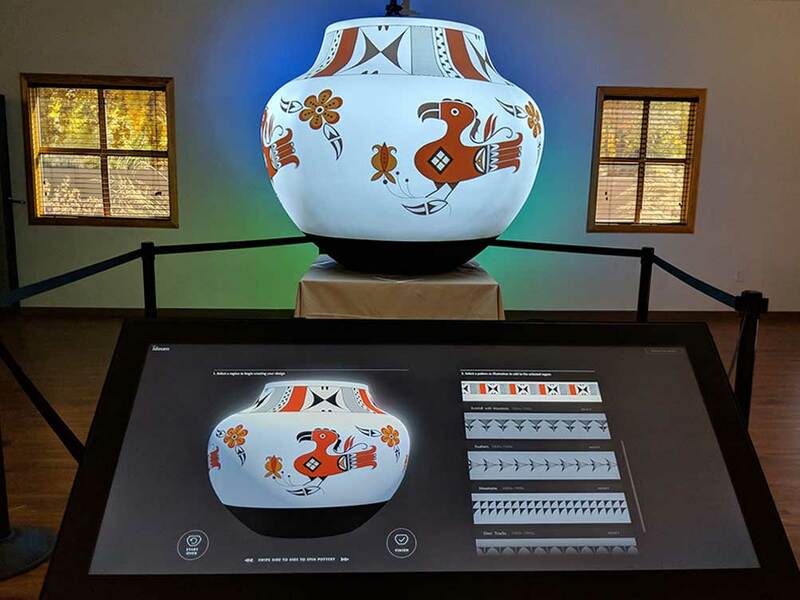 Jim Spadaccini, Ideum’s Creative Director, and Morgan Barnard, Digital Artist, will be presenting Exploring Pueblo Pottery, an experimental project using projection mapping to display the unique qualities of Acoma Pueblo pottery design in a high resolution, larger than life exhibition. 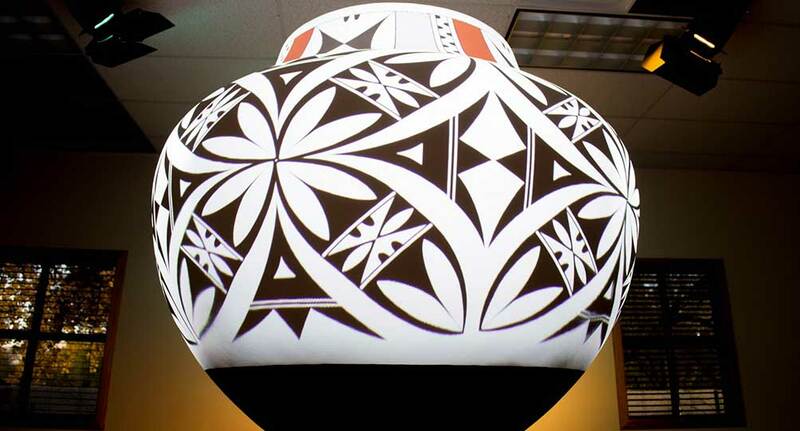 The project was developed in close partnership with Acoma Pueblo artist Michelle Lowden. Attendees will learn more about the process including the design approach and the rigorous technical considerations in developing this project. The interpretive aspects of the project along with the specific technical details that created this unique, full 360 degree projection mapping will be discussed. 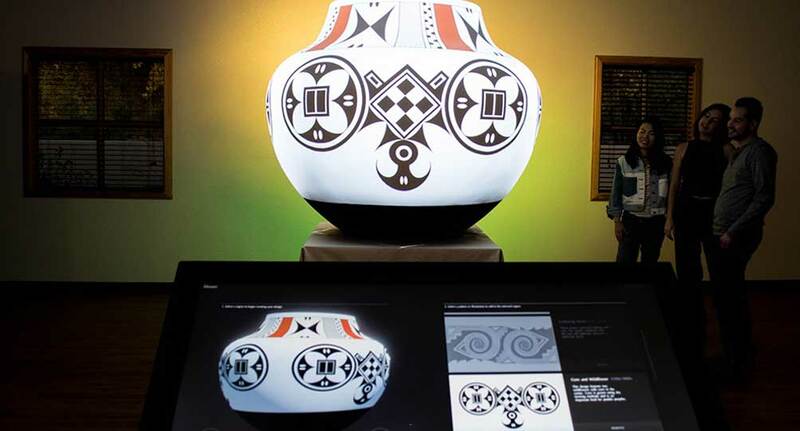 Exploring Pueblo Pottery has received the prestigious Global Design Award for interactive experiences from SEGD, the Society for Experiential Graphic Design. Excited? There is still time to register! Exploring Pueblo Pottery is an experimental initiative designed by Ideum to advance technological frontiers. The exhibit uses projection mapping techniques to let visitors explore Native American cultural heritage. 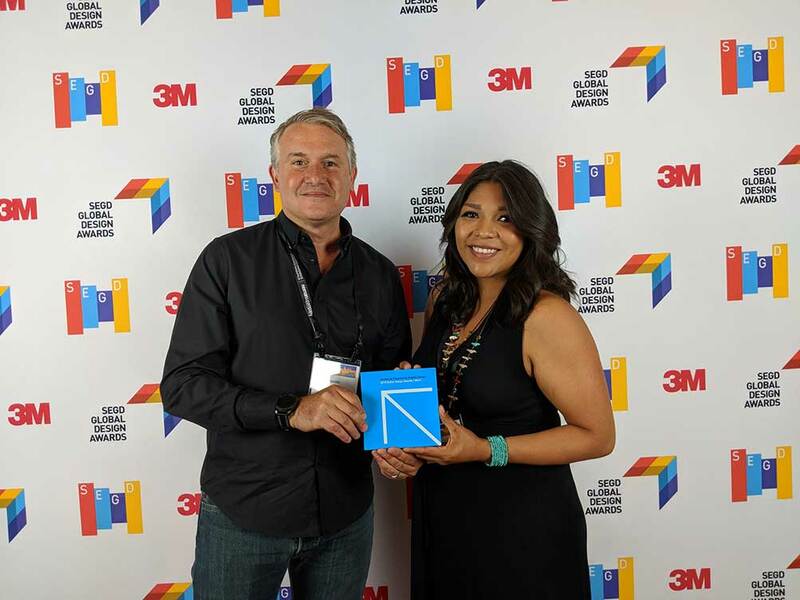 Ideum Creative Director Jim Spadaccini and Acoma artist Michelle Lowden accept the interactive experience award for Exploring Pueblo Pottery at the Society for Experiential Graphic Design convention in Minneapolis.